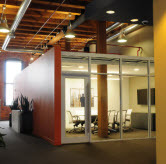 Make a great impression while using leading edge boardroom and conference room sound systems from Shanahan. Flawless audio for teleconferencing and seamless integration of video and projection technologies can make meetings and training sessions more efficient, more productive, less stressful. Shanahan provides multi-functional videoconferencing systems for sound and video with high-performance touch-panels for total room control. 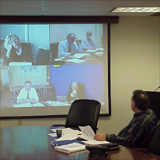 Choose options for local conferencing, multi-point and remote communications. Let Shanahan optimize your room for ease of operation so you can focus on delivering the message. Complete our contact form and let us know your questions or give us a call 978-453-1556.